After school, I started working at an ambulance manufacturing company. In 1980, I married, went into the Army spending 6 years in the service; 3 years stationed in Colorado and 3 years in Germany. 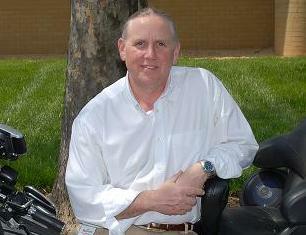 In '86 started working for Citi Corp. as a mainframe computer operator, got divorced and moved to Maryland. In '87 I remarried, started work at Marriott International (where I've been for over 21 years) as a computer operator and now I manage a group of programmers supporting Marriott's reservation system. And my current wife of 21+ years hasn't kicked me out...yet. Ken Davis has a birthday today. I couldn't find my Senior picture but I found this one when I was in grade school. I got caught in the rain on my way to a picnic. But I still tried to look cool hoping no one would notice my "just-pee'd-my-pants" look. The sun came out and I eventually dried up.